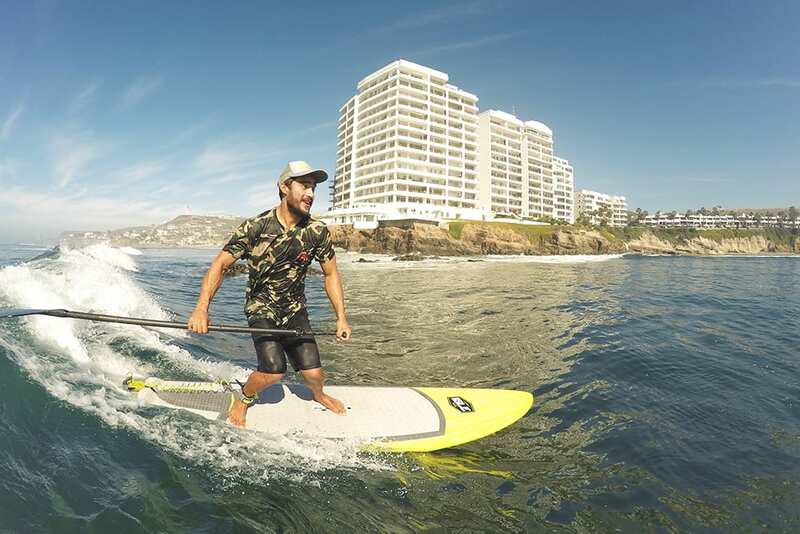 Our performance constructed surfing SUP has stability and incredible maneuverability for everyday wave conditions. 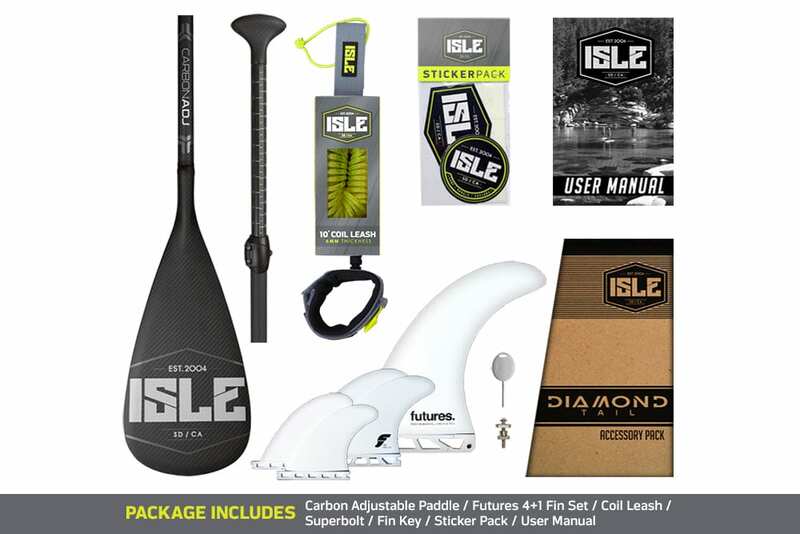 The ISLE Diamond Tail Surf Stand up Paddle Board is designed for intermediate to advanced paddlers who want a fast board that will catch waves effortlessly and have quick acceleration. The board has enough volume to float a larger individual, but is compact enough to stay loose in the pocket and responsive down the line. 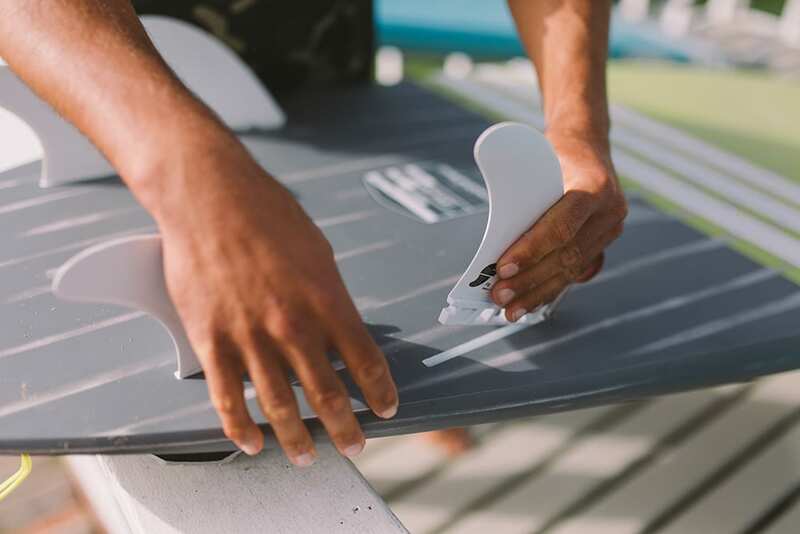 The pulled in nose and tail with a medium rocker and a deep, single concave will make the board come alive during carves, bottom turns and fast snaps. With reinforced performance rails, you’ll be able to surf rail to rail. 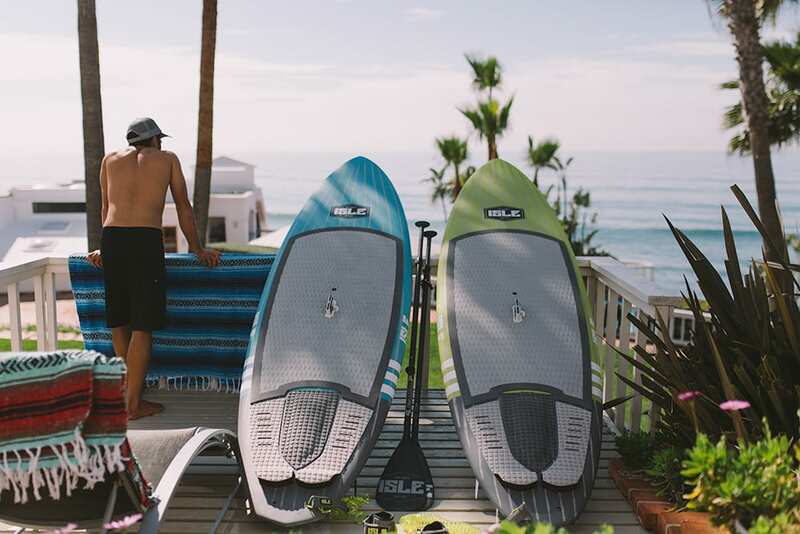 The board’s diamond groove traction tail pad and arch bar will assist in keeping you stable during your turns. We employed a brushed speed finish that keeps the weight down and has an attractive look. 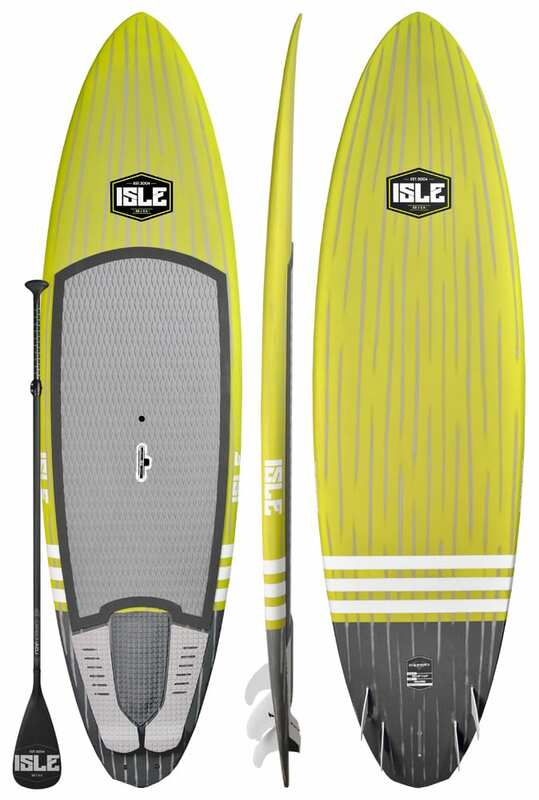 The added Lift SUP handle makes transporting easy while giving you a solid center grab point that anyone can use. The raised, diamond-groove pattern gives you maximum no-slip grip for quick turns in flat waters and for riding larger waves in the surf. The super soft traction reduces foot fatigue, plus the diamond pattern offers a catchy design. First the lightweight EPS blank is created in a precision mold, so the shape is perfectly replicated every time. We’ve added a carbon deck patch to reinforce the standing area and improve the performance. In addition, we’ve placed a layer of wood veneer that adds strength to shape and then laminate it with fiberglass to add durability and impact strength. Comes standard with a removable center box fin and quad Future Fins set up for better performance and tracking when riding steeper waves.